As a pet parent to four fur babies, I’m always looking to improve the health of my cats and dogs. 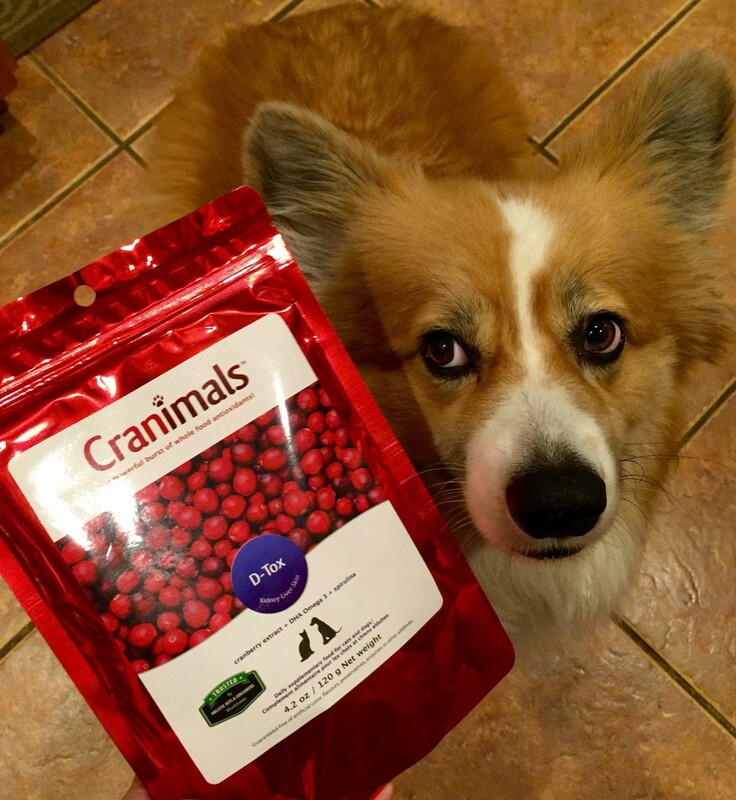 Enter Cranimals™—an all-vegan, Canadian-based whole food supplement company. With formulas to prevent and treat conditions from allergies to diabetes to cataracts and incontinence as well as home health check test kits to help you monitor your pet’s health, Cranimals™ offers peace of mind for pet owners. As my cats have gotten older, UTIs have sadly become more common. A typical vet visit would end with a grumpy kitty and a prescription for antibiotics. I was happy to discover Original: Urinary Tract. 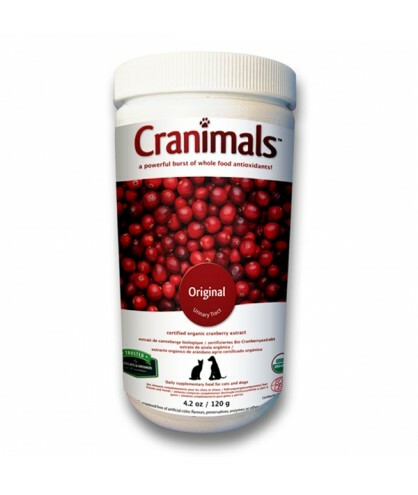 I love that it is made from 100% certified organic cranberries and has independent journal reviewed evidence that it is as effective as an antibiotic. Mixing this into my 14-year-old kitty’s food makes me feel happy that I am supplementing her diet in a healthy way. We all feel that need to detox after a holiday celebration or when you discover a new vegan sweet. Our pets may not overindulge like a vegan at a VegFest, but they can benefit from detoxing, too. My 10-year-old dog has developed increasingly aggressive allergenic skin problems within the last three years. Vet visit upon vet visit led to steroids and topical creams, frequent bathing and strict diets, but nothing has consistently worked. D-Tox: Kidney, Liver, Skin both strengthens the immune defenses and stabilizes inflammatory response. This superior supplement formulated with spirulina, cranberry extract and vegan DHA Omega 3 from algae also controls blood glucose levels and protects the liver and kidneys. After having to administer steroids and medication with a long list of side effects, I feel good about incorporating this powerhouse powder into her daily meals. I’m excited to continue to provide my pets with top-notch supplements, and I love that they can be used with cats and dogs. 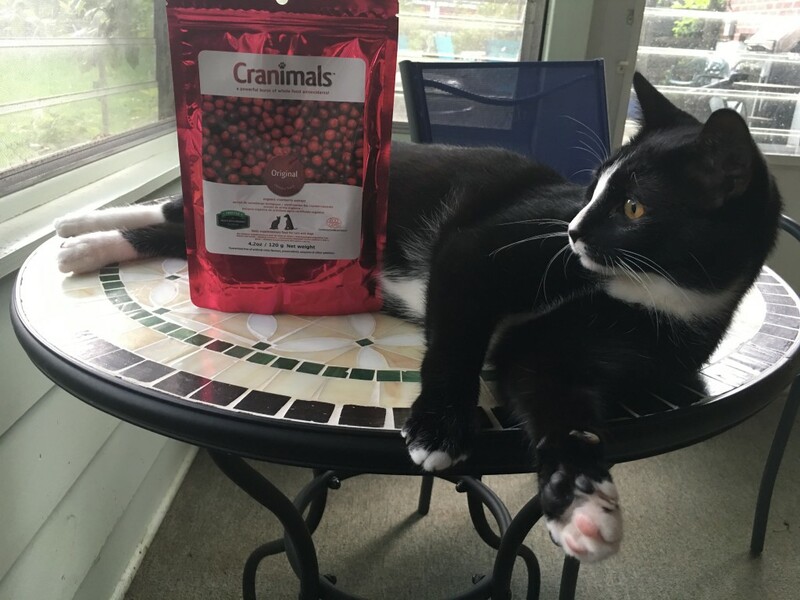 Cranimals™ offers flexible auto-ship options to make it even easier to continue to provide my pets with the best possible health. 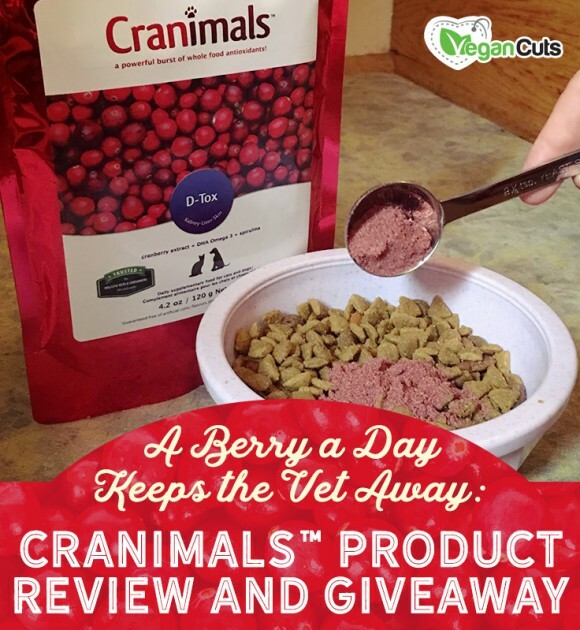 Cranimals is giving away a 454g/1 lb jar of their Original Urinary Tract Supplement—a $74 value! Enter the giveaway below to win the world’s #1 urinary tract supplement for cats and dogs. Use coupon “WELCOME” save $8 at checkout when you create an account on cranimals.com and buy any product. I’m sure my 3 dogs and 2 cats would all love this! We just adopted a puppy and would love to give this a try! Anything to keep her healthy! I’d love to try these for my 16 year old kitty! I’m excited to see how this works for cats! My old man kitty has urinary problems (as lots of cats do), and he just won’t eat things that are too “cranberry”-y flavored. I’m hoping something like this will help him out! Our dog recently presented with some crystals in her urine–would love to try this and see if it helps! I have six cats and some of them occasionally get UTIs, so this would be so helpful for them! Yes!! I would love to try this product for my cat.It sounds awesome!! I am interested in keeping this on hand for my 11 yr. old Pomeranian. I have a cat, as well and would like to supplement her diet with Cranimals, as well. I have a dog with ibd who gets a lot of uti’s and 2 diabetic cats. I would love to try Cranimals to help relieve some of their symptoms and make them healthier. My Emma is having UTI issue and while looking up Cranimals for more information, I came across this giveaway! Great timing! wow, didn’t know this was a thing I am sure Katniss Khaleesi and Dobby Dumbledore would benefit from this immensely. might have to order some. My boy cats have contracted UTI before and they are on prescription food.. but I’m always looking for more natural ways to keep them from UTI.. this would be perfect! I have 3 dogs and a cat and would love to try this on them. I would love to try this product for my dog who just turned 10. I want him to have a long healthy life and this stuff sounds fabulous. I think Cranimals would be great for my dog!